A brilliant, fierce writer makes her debut with this enthralling travelogue and memoir of her journey by bicycle along the Silk Road--an illuminating and thought-provoking fusion of The Places in Between, Lab Girl, and Wild that dares us to challenge the limits we place on ourselves and the natural world. As a teenager, Kate Harris realized that the career she craved--to be an explorer, equal parts swashbuckler and metaphysician--had gone extinct. From what she could tell of the world from small-town Ontario, the likes of Marco Polo and Magellan had mapped the whole earth; there was nothing left to be discovered. Looking beyond this planet, she decided to become a scientist and go to Mars. Lands of Lost Borders is the chronicle of Harris's odyssey and an exploration of the importance of breaking the boundaries we set ourselves; an examination of the stories borders tell, and the restrictions they place on nature and humanity; and a meditation on the existential need to explore--the essential longing to discover what in the universe we are doing here. 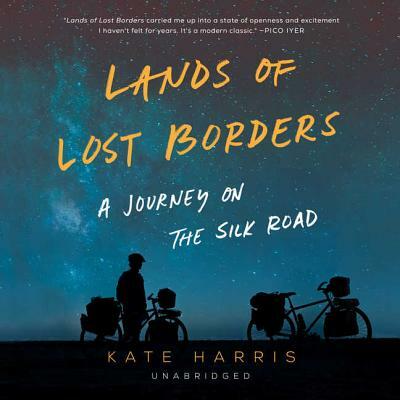 Like Rebecca Solnit and Pico Iyer, Kate Harris offers a travel account at once exuberant and reflective, wry and rapturous. Lands of Lost Borders explores the nature of limits and the wildness of the self that can never fully be mapped. Weaving adventure and philosophy with the history of science and exploration, Lands of Lost Borders celebrates our connection as humans to the natural world, and ultimately to each other--a belonging that transcends any fences or stories that may divide us.